High-scoring back-and-forth games. Highlight-reel performances. Nail-biting finishes. Emotional declarations, such as Broderick Fobbs’ last week. The 2015 Southwestern Athletic Conference season crammed 11 (or 10, depending on your team’s schedule) games worth of high and low points (depending on your time). Here are just a few tidbits at the midpoint of the season. MAYBE THEY WERE RIGHT AFTER ALL: Grambling State and Alcorn State are leading the way in the SWAC Western and Eastern divisions, respectively. Grambling sits atop the entire league as the only unbeaten team in league play after its 35-34 overtime win over the Braves last week. WE DIDN’T SEE THIS COMING: The smoldering dumpster fire at Jackson State. The Tigers were picked to finish second in the SWAC East, but a 1-5 start — including giving up 50-plus points to Southern and Grambling — led to the firing of head coach Harold Jackson Oct. 6. The Tigers fell 28-22 to Alabama A&M in interim coach Derrick McCall’s first game, and The Clarion-Ledger announced Monday it would cease its daily coverage of J-State athletics until the Jackson, Mississippi-based newspaper resolves its impasse with the JSU athletics department. Adding fuel to the fire is “The Godfather” baptism scene-style rash of departures in recent weeks, including interim athletic director Robert Walker and Nedra Brown, the former associate athletic director for internal operations/senior woman administrator. Basketball season can’t come soon enough for Jackson State. MIDSEASON OFFENSIVE PLAYER OF THE YEAR: Jonthá Hebert, RB/KR, PVAMU: The Panthers’ all-everything back runs the ball well. He catches the ball well. He returns kicks well. Well, you get the picture. Hebert — the Panthers’ leading rusher, receiver and kick returner — currently leads the SWAC and FCS in all-purpose yards (219 ypg). He is the conference’s fourth-leading rusher (82.5 ypg) while ranking second in catches per game (5.3 rec/game) and seventh in receiving yards per game (63.7 ypg). Hebert also leads the league in kick return average (29.1 yards/return). 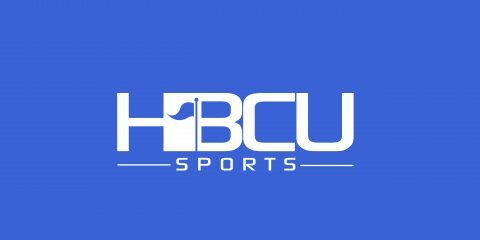 The SWAC is littered with talented offensive players — including Grambling State’s Martez Carter, Jackson State’s Dan Williams and Southern’s Willie Quinn to name a few — but Hebert’s performance, along with his importance to the Panthers’ offense so far this season, tips the scales in his favor. MIDSEASON DEFENSIVE PLAYER OF THE YEAR: Kourtney Berry, LB, Alabama State: The Hornets’ All-American, and preseason SWAC Defensive Player of the Year, is on the verge of his third-straight 100-tackle season. He leads the SWAC in total tackles (88) and tackles per game (12.6). Berry’s per-game clip is sixth-best nationally and only Sacramento State linebacker Darnell Sankey and Tennessee Tech linebacker Tra’Darius Goff have more tackles at this point of the season. How far ahead is Berry? The next-highest tackle amount among SWAC players belongs to Grambling’s Guy Stallworth (63). The Hornets’ next two top tacklers — linebacker Daerius Washington (56) and cornerback Bradley Street (53) — have only 21 more total tackles combined than Berry has by himself. MIDSEASON COACH OF THE YEAR: Willie Simmons, PVAMU: Simmons, the former Alcorn State offensive coordinator, inherited a Prairie View program slapped with APR sanctions (reduced practice time, no spring practice, etc.). Simmons, along with his new staff, had to retool a team that lost key players such as quarterback Jerry Lovelocke and linebacker Jerome Howard, the 2014 SWAC Defensive Player of the Year. Six official games — the NCAA declared the game against Faith as an exhibition — later, and the Panthers’ offense didn’t miss a beat with a new regime. PVAMU’s offense ranks first in the conference in scoring (43.5 points/game) and total offense (494.3 ypg) while ranking second in the league in rushing offense (186.8 ypg) and passing offense (307.5 ypg). New signal-caller Trey Green’s 1,780 passing yards is second best in the SWAC and 10th in FCS, and Hebert is arguably the conference’s most must-see player. Most importantly, the Panthers (4-2, 4-1 SWAC) are right in the thick of the SWAC Western Division race. Not bad for a rookie coach, right? THE TEAM TO WATCH DOWN THE STRETCH: Alcorn State. The Braves control their own destiny in the SWAC East while games against Southern (Oct. 31) and Prairie View (Nov. 7) in consecutive weeks can greatly alter the SWAC West race. The Nov. 21 matchup against AAMU could potentially clinch the Eastern Division title for Jay Hopson’s bunch. Band Poll: Prairie View vs. Southern – Which Band Won Halftime?